Simon Mignolet admits he will be speaking to Jurgen Klopp about his Liverpool future when he returns from the World Cup with Belgium. The Reds’ goalkeeper has been tipped to leave the club this summer having lost his starting spot to Loris Karius last season. 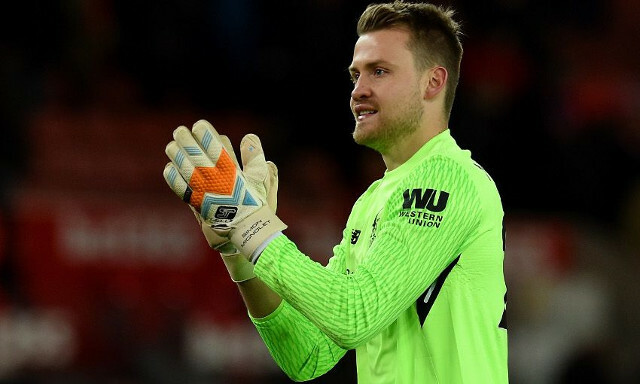 Mignolet played a key role in Liverpool securing a top-four finish in the 2016/2017 campaign, but failed to maintain his form or offer any consistency as no.1 beyond that summer. With Klopp seemingly in the market for another shot-stopper, Mignolet’s time on Merseyside appears to be drawing to a close. Speaking after Belgium’s 1-0 win over England, Mignolet told reporters: “I am going to look at my situation when I come back from the World Cup,” per the Telegraph. Karius himself similarly faces an uncertain future at Anfield on the back of his mistakes in Liverpool’s Champions League final defeat to Real Madrid. The German was at fault for two of the eventual champions’ three goals, leading to heavy speculation the club will eye a new first choice ahead of next season. Roma’s Alisson had surfaced as a priority target until Liverpool took a step back in response to his £70million valuation. Lazio’s Thomas Strakosha and Burnley’s Nick Pope were also pinpointed as possible options, although such suggestions have since been quashed by reliable journalists. Barcelona’s Jasper Cillessen is the latest name to crop up having expressed his desire to leave the Catalan giants in search of regular football this summer.